We each found our space on the floor and lay flat on our backs. She put on some drumming music. And we began breathing—deeply. “You want to be totally relaxed on the exhale.” She said. With the music in the background, I slowly entered a hypnotic state, my thoughts lessened and I found myself traveling into an internal mental space. It was like I went through a portal into another realm. I was on a journey and I felt present to my life in a profound way. On this, my first, Breathwork session, I began to experience a strong feeling that my life on this planet was a continuum and I was about three quarters of the way through. As I continued to breathe in this new way, I became overcome with peacefulness. Other people in the group were crying, expressing anger, and some were quiet like me. We were instructed to stay in our own journey—to notice the sounds in the room but to keep the focus on our own breath. I did not feel at all distracted by the other people’s experiences. I was busy focusing on my Self — on being with the feelings and sensation that my life was a continuum from beginning to end, and feeling joy and gratitude. I also noticed that my mind was incredibly calm and still as if I had been meditating for a long time. “This is powerful stuff.” I thought. I considered myself to be a discriminating student and had experience with Yoga, Tai Chi, Martial Arts, Massage and Reiki. I am also a psychotherapist, and this also seemed like psychotherapy — in the fast lane. After that first session, I attended several drop-in classes and was amazed with the places inside where the Breathwork took me. I had several individual sessions with Samvedam where I reworked and revisited various issues in my life. I had several spiritual-like experiences, always ending the sessions with new perspectives. Each Breathwork session deepened my ability to take in a full breath during my daily life. I began to notice that in stressful situations, I would naturally breathe. I found that my feelings were becoming more accessible. I was becoming stronger. 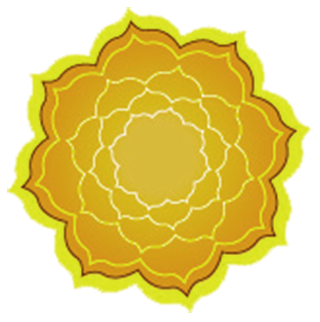 I decided to take the training to become a Certified Breathwork Facilitator, and studied with Samvedam for several years. During my training with Samvedam, I learned to help others connect with their breath and to assist people on their internal journeys. I learned that every journey is different and that many people have profound experiences. The facilitator’s role is to guide, assist, support, and have faith that the breath will take each person where they need to go. I learned to help people slow down their breath when emotions and sensations are overwhelming, and to increase the rate and depth of their breathing when they unconsciously hold or control their breath. I encourage people to breathe in the qualities they seek, and on the exhale to let go of tension and negativity. A facilitator’s presence is required while the participant learns the method, and during times of extreme personal stress when it is difficult to connect with oneself. Breathwork eventually becomes a method that one can be practice alone. I do self-sessions regularly now. I use taped guided sessions or play music that helps me to focus on my breath. Breathwork becomes an active meditation and a way to clear energy blocks. Letting your attention to go to the rhythm of your breath brings you to connection with your Self and your innate natural wisdom. Opening and expanding your breath allows for increased spontaneity and fuller, deeper experiences. Deepening and expanding your natural breathing patterns will transform your life. The internal journeys that you take to get you to this new reality are a bonus.